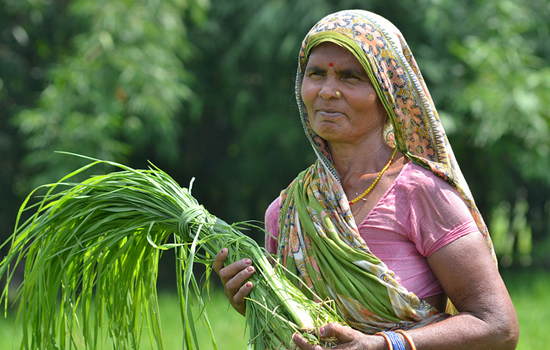 CCAFS is testing new survey tools to uncover how climate information impacts farmers' livelihoods. Photo: V. Reddy. 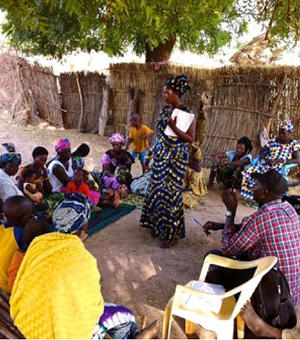 A focus group discussion with farmers to assess the impact of climate information services in Malem village, Kaffrine, Senegal. Photo credit: A. Davis. 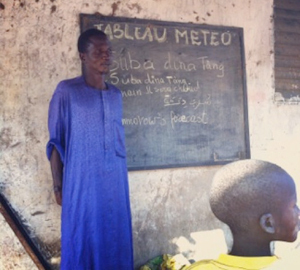 The tableau meteo - tomorrow's forecast: the weather bulletin board posted near the village market is a key vehicle through which climate information is shared in Djoly village, Kaffrine, Senegal. Photo credit: A. Davis.